Also suitable for smaller items of clothing eg. lingerie, scarves and hats. 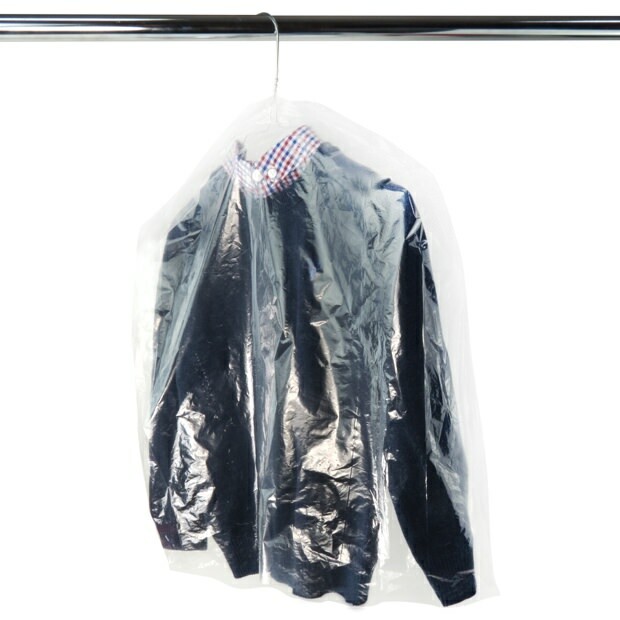 Clear polythene garment covers with side gussets - 50cm (20") length. Useful for storage of children's clothing and other smaller items such as lingerie & accessories. Quality 100 gauge thickness with shoulder shaping and pre-formed hole for hanger hook. Size: Length x Width x Gusset 20" x 20" x 4" (50cm x 51cm x 10cm) approx.